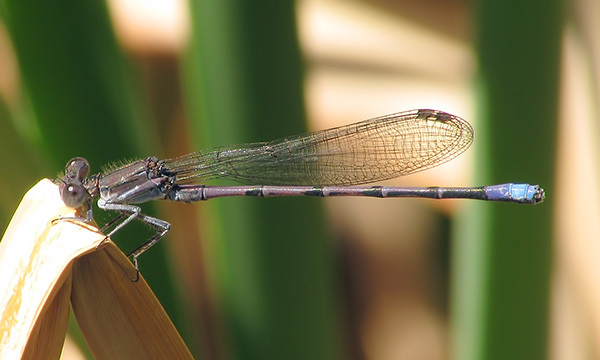 The Variable Dancer in Arizona had until now not been found until mid-April (Richard Bailowitz, pers. communication). 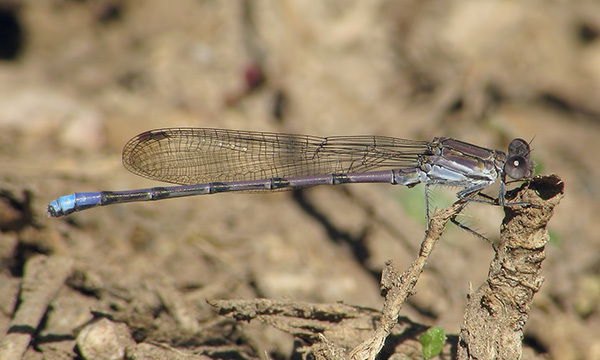 On 31 March 2012, one male was found at Warm Springs and approximately 10 males were found at nearby Blue River, Gila Co., thereby extending the known flying period of the species in the state by two weeks. Below are pictures of three individuals seen that day. Variable Dancer, Male, Warm Springs, Gila, AZ, 31 March 2012. 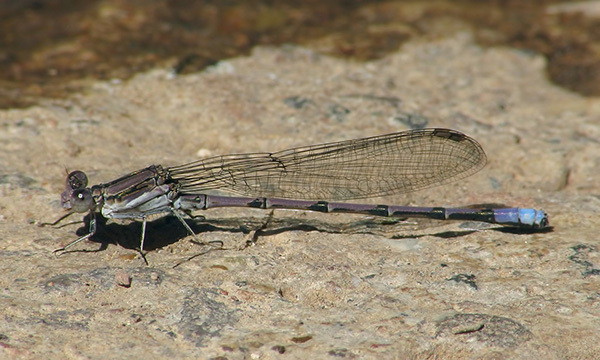 Variable Dancer, Male, Blue River, Gila, AZ, 31 March 2012.